Helena Wayne Huntress: Batman Annual #2: Prime Earth Helena Wayne Revealed? Batman Annual #2: Prime Earth Helena Wayne Revealed? My original plan today was to finish my write-up on America vs The Justice Society for Helena Wayne's 40th Anniversary celebration. But then, Batman Annual #2 by Tom King, Lee Weeks, and Michael Lark also came out today with an additional surprise. Naturally, fans curiously asked me all day today what I thought of today's surprise, which can only mean one thing: we got a glimpse of the Prime Earth Helena Wayne. I don't want to jump to conclusions this early on in the game, in part because we don't know what DC's plans are for Helena Wayne and in part because Geoff Johns is still course-correcting the DC Universe with Doomsday Clock. The future is still very much in the air at this time and plans can change between now and then. As such, nothing is set in stone, including the elderly Bruce and Selina from today's story, though I very much want it to stay in continuity. I do want the elderly Bruce and Selina to stick around for Helena to interact with since we were robbed of that both pre-Crisis and during the New 52. Letting her parents live this time would be a significant improvement. But what do I personally want for Helena as her fan? I must admit, I still want the pre-Crisis Helena Wayne back as the Huntress with the classic Justice Society. I especially want to see her reunited with Power Girl since I don't want Kara to be the sole refugee of Earth-2 again like she was post-Crisis. That premise made Power Girl's story too sad and tragic in my opinion, and I've been wanting to see that Huntress and Power Girl reunion story since Geoff Johns' and Jerry Ordway's Justice Society of America Annual #1 from 2008. Out of those five, it seems only the first item has been checked off at DC, and the other four are still pending. 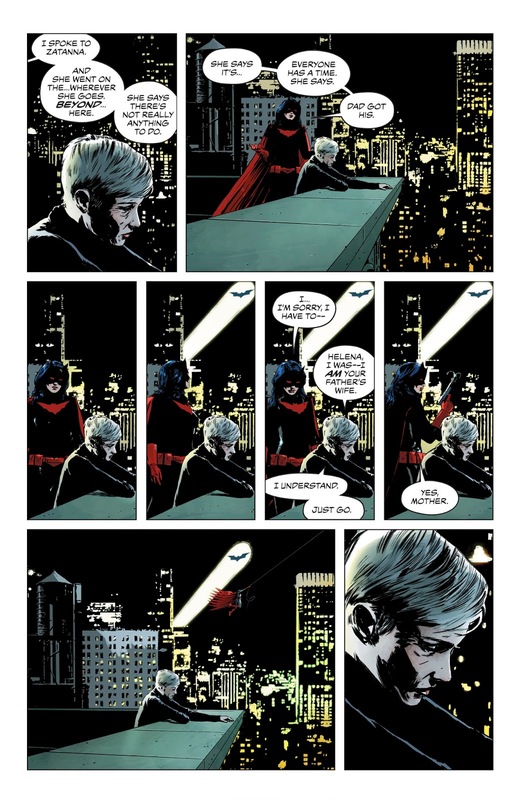 However, today's Batman Annual #2 teased Helena as a future Batwoman, complete with Kate Kane's costume. It is not known if she still starts out as the Huntress in this continuity and later becomes Batwoman (kind of similar to how her New 52 Earth-2 doppelgänger ended up), or if DC is in fact planning on having her takeover the Batwoman identity from the go. Let's talk about that. I'll be perfectly honest and admit I really don't like the idea of Helena Wayne becoming Batwoman (or even Batman for that matter) for two reasons. First, it erases the fact that she is the original Huntress, which takes away one idea that makes her interesting as a character. To me, erasing Helena Wayne as the original Huntress is the same as erasing Jay Garrick as the original Flash because it changes the history of the moniker in a very fundamental way. The second reason I dislike the idea is that it profoundly misses the point of why the Huntress identity is so important to her character. As much as I disliked seeing Selina Kyle fridged as a way of catapulting Helena into her superhero identity, I always loved the fact that her Huntress moniker was always an homage to her mother's Catwoman identity. That's a very significant development because it's incredibly rare to see a woman (especially the mother) treated as the most important character in a hero's origin story. 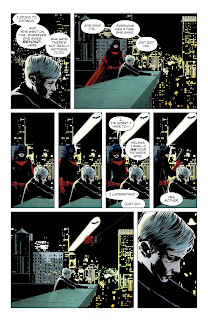 The default is always the father figure, which means keeping Selina as the main inspiration for Helena's Huntress identity keeps her origin unique. It is also a development that doesn't require killing Selina because Helena would've still been inspired to become a superhero on her parents' legacy alone. Making her Batwoman shifts her identity back to her father as the most important figure, which now makes her story less interesting. The other reason Helena's original Huntress identity is important is because it allows her to honour the legacy of her parents while at the same time allowing her to create her own legacy. This was especially reflected in the design of her Huntress costume that had a dominant purple motif (from her mother's Catwoman suit) with grey, blue, or black as the other dominant colours (from her father's Batman suit). The idea of the Huntress being a way for Helena to honour her heritage while allowing her to forge her own unique identity was a development that was heavily emphasised pre-Crisis with good reason. The point of her family legacy was never "who should become the next Batman or Catwoman," but rather "how does Batman and Catwoman inspire their own daughter to continue their work?" 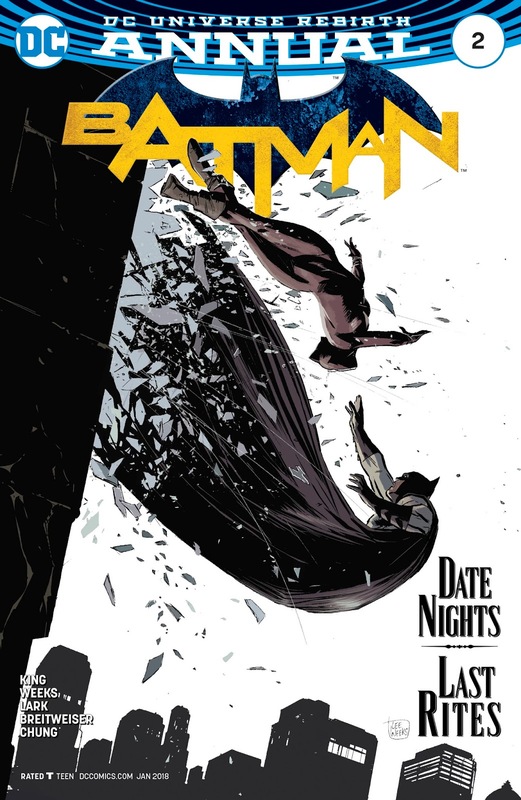 Again, I want to emphasise that today's Batman Annual only provided a tease of where Helena Wayne's story can potentially go in the future, which means nothing is set in stone. But if DC is committed giving Helena Wayne her due this time, she absolutely does need to originate the Huntress identity. That actually belongs to her. Making her Batwoman is a complete wrong direction to take her in and would be continuing the long-standing problem of erasing and needlessly convoluting her actual history. The goal here should be to stop changing the character in order to accommodate two bad reboots that set out to erase her (Crisis and Flashpoint in this case). The goal here should be to give back to Helena Wayne what was taken from her. I agree with everything you said. Also the Batwoman legacy is almost so separate from the Batman legacy recently, for Helena to wear that costume doesn't seem to honor either of her parents legacy. It's like they were trying to just put any costume on her, surprised she wasn't another Batgirl (which Bertinelli has already done pre-52.) At least they had her in character. The matter of fact way she told her mother about what Zatanna did. The 'it is what it is' way that Helena Wayne and Bertinelli used to speak gave me hope that when the time comes they will get her foundations correct. Also, I enjoyed Helena Wayne out of costume as much as in costume because we could see what she does off the clock, her close friendships like you mentioned with Karen (Power Girl) and her vocation needs to define her as much as her legacy. I'm fine with her being a lawyer again, or a teacher like when she was Bertinelli post-crisis, or something that shows off her high level of intellect and all the talents and experiences she learned from the Cat and the Bat. I really hope that they are still 'rebirthing' because the DC universe is not even remotely complete for me without seeing the REAL Helena Wayne, and not thrown under the bus for a character I may never connect with due to convoluted spy stories that no one will care about or remember in a year or two who has no real tie to Batman, this current 'Huntress' in Birds of Prey. She needs another identity or at the least Ms. Wayne needs her own series or team book to star in or another team up book with Power Girl. It's been a couple years now and even a real birth takes far less time than DC has been taking to get back to their core characters, like Legion of Superheroes, Jsa, and many legacy characters that still have yet to appear like Jade, Obsidian, and there's no excuse about their not being enough room because they've made it clear the whole multiverse is the canvas, so it's time to see Helena proper, and all the trimmings and respect that she, her legacy, and her fans (like us, especially someone like yourself that loves Helena like I do) deserve.I strongly desire a Helena Wayne: Huntress series that focuses as much on her mother as it does on her father if not more, and maybe a future where they're both alive and happily retired, but still have their edge. It's time she was seen in all her glory with an amazing creative team that loves and respects her and focuses on mainly her and not her father who gets more than enough attention. I didn't even know it was her 40th, and now I know why she's my favorite DC character, because we're technically the same age! Several comic characters are 40 years old, Huntress, Black Lightning and Spider-Woman, and I hope I look as good as they do currently. It's her time to shine!! !